Maximize the performance of your EMC VNXe3200 system. 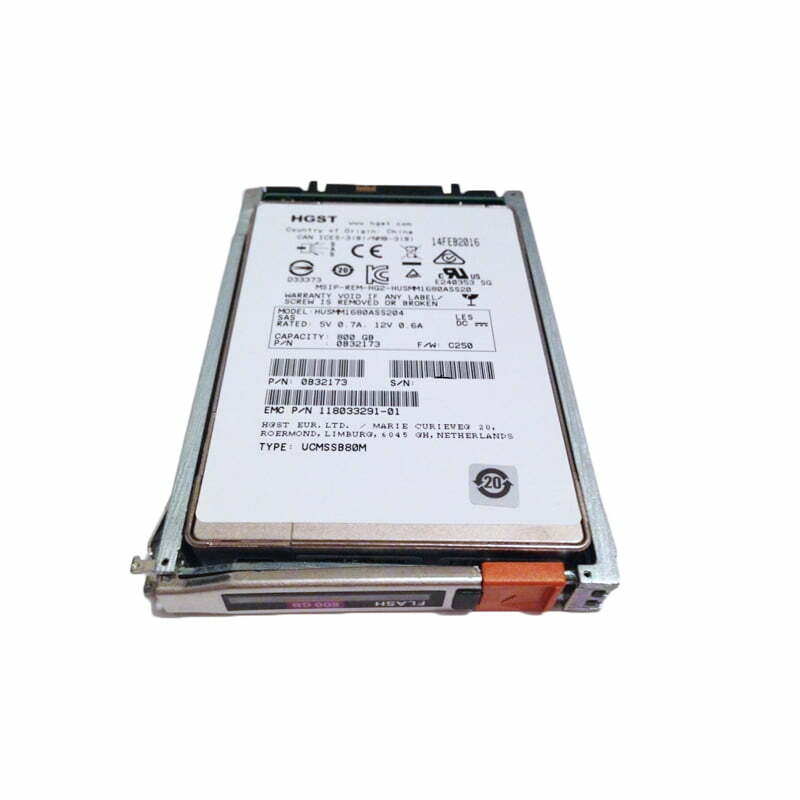 The EMC V6-2S6FX-800 is a 2.5-inch 800GB 6Gb SAS SSD hard drive. All EMC hard drives sold by SPS Pros are previously used, fully-tested, and backed by a 60 day warranty against defects. Same day, international, and expedited shipping available! The V6-2S6FX-800 is also known as part number 005051130, 005050800, 005050785, and more listed below. Using the SSD / EFD drives such as part numbers 005051130, 005050800, 005050785 & V6-2S6FX-800 in applications that use small block, random I/O is an important factor in realizing higher performance benefits. These applications have a tendency to minimize any caching advantages of the storage system. In addition, with applications such as these, the physical access to data on the disk has the greatest effect on overall performance. These small block, random I/O applications reap the greatest benefits from storage-system performance improvements. Enterprise Flash Drives, like the V6-2S6FX-800, promise to change the storage landscape. Storage performance with EFD takes a revolutionary step forward and allows this traditionally lagging technology to catch up with the exponential performance improvements seen in the server industry over prior decades. Whether your application environment is a database, e-mail, CAD/CAM or any other that is key to your business success and that might be experiencing a constraint due to storage bottlenecks, there is a good chance that the solution to the problem is EFDs. Since EFDs are made available on a unified platform, the benefits of EFD can be implemented regardless of connectivity model, whether the application server uses FC, iSCSI, or NAS (NFS/CIFS).